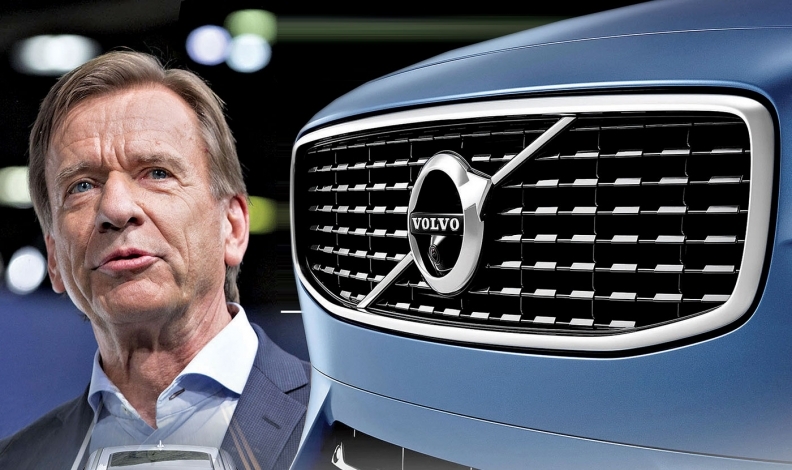 CEO Hakan Samuelsson has led a revival at Volvo. The brand's comeback can be attributed in part to a carefully engineered sale of Volvo by Ford to China's Geely. In addition, Ford helped develop Volvo's best-selling XC60. "It shouldn't be possible for the bumblebee to fly, but it does. This falls into the same category." For Hakan Samuelsson, Volvo CEO and embodiment of the Swedish distaste for boastfulness, this borders on swagger. Samuelsson was answering a question on the sidelines of the Geneva auto show in March: Why had Volvo succeeded when conventional automotive wisdom rated its chances of survival as slim at best when Ford Motor Co. sold the brand to China's Zhejiang Geely Holding Group in 2010? Surely, ran the wisdom, a premium automaker of middling volume couldn't survive without the benefit of luxury pricing or a big partner with scale synergies. "Maybe what I've learned is that conventional wisdom is not always correct," Samuelsson said. "You can be big or small or whatever. But you can always be better." Volvo's success can be attributed to smart decisions, a tactfully handled sale by Ford, seductive vehicle design and an advantageous introduction to the world's largest car market, China. Geely, contrary to early fears, sensibly kept Volvo anchored in its Swedish homeland but also gave it access to Chinese finance, paid for a new Chinese manufacturing base and generally gave it the security it needed to think big. "BMW is doing their best to design their vehicles to look like Scandinavian furniture inside. Why do we let them do that? That's our territory. They could design their vehicles like a Bavarian beer hall." The cash is pouring in. In 2016 Volvo's operating profit rose 66 percent to 11 billion Swedish crowns ($1.25 billion) on revenue of $20.2 billion, giving it an operating margin of 6.1 percent. It has cash reserves of $4.3 billion, up from $2.9 million in 2015. "We generated a lot more cash than anticipated," Samuelsson told journalists at Volvo's annual results press conference in February. "Three years ago, no one would have expected we would be at this level this fast." In the past Volvo mainly sold cars to northern Europeans and a dwindling band of die-hard fans in the North American snow belt. Now China is the automaker's top market, with 90,930 sales last year, followed by the U.S.
Volvo's global sales march is being shadowed by its expanding manufacturing footprint. Its new U.S. assembly plant opening next year near Charleston, S.C., -- which will have annual capacity of 100,000 vehicles and build the S60 plus a second model to be named -- will join a network of two in Europe and three in China. By 2020, U.S. sales will be nearly double last year's figure of 82,724 at 150,000, while China should hit 200,000, Samuelsson predicted. Once considered a "near-luxury" brand, Volvo is now being cross-shopped with BMW, Audi and Mercedes and is achieving similar transaction prices, according to figures from TrueCar. For example, the XC90 large crossover was selling in the U.S. for more than $20,000 below the BMW X5 midsize crossover on average back in March 2013. 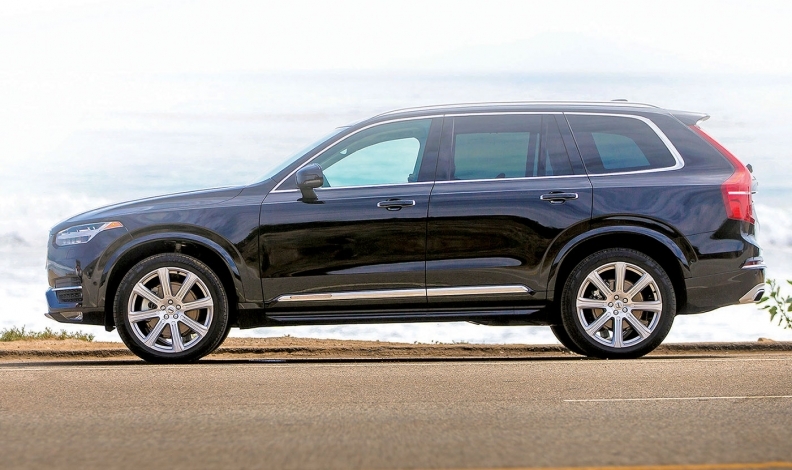 In March this year, the XC90 was just $2,300 behind at $59,600. Volvo lured over luxury customers by focusing on quality, believes Francisco Riberas, CEO of metal parts supplier Gestamp. "Under the umbrella of Ford, they lost their image of quality a little," Riberas said. "Now they are rebuilding that with very good designs but keeping their DNA of safety." Volvo has worked hard on its interiors. In 2013, Samuelsson described how he took back the initiative from the Germany luxury makers: "BMW is doing their best to design their vehicles to look like Scandinavian furniture inside. "Why do we let them do that? That's our territory. They could design their vehicles like a Bavarian beer hall." The company posted a pretax loss of $653 million in 2009. But Geely wasn't buying a wreck the next year when it paid Ford $1.5 billion. "I was a little bit concerned that most of the decisions would be moving to China, but the Chinese owners did the right thing to keep the most important decisions in Sweden. I think they are playing smart." Volvo has taken pains to improve the design of its interiors, which has helped it compete in the luxury space. Its new design philosophy can be seen in the XC60. Steve Armstrong, the former COO of Volvo under Ford and the man responsible for handing over the company to Geely in 2010, said Ford wanted to leave Volvo in condition to survive. "The instruction from headquarters was to be a responsible seller and not to just abandon it," Armstrong said. "The XC60 has been key to Volvo's success," Tim Urquhart, principal analyst at IHS Markit, said. An all-new XC60 goes on sale in the U.S this summer. Geely gave Volvo financial security, but not much in the way of automotive resources. No synergies existed between the Chinese automaker's unsophisticated lineup and Volvo's premium range. So a financial plan was thrashed out in which Volvo would spend $11 billion on a new platform, a raft of new models and a new engine range. It sounded like a lot, but spread out over so many models it really wasn't. Savings would have to be made -- particularly because this wasn't a gift from Geely. Volvo is paying back loans made by the China Development Bank, has recently tapped the bond markets and has sold shares worth $532 million to Swedish institutional investors. Samuelsson said a long-rumored public offering of stock would be "an option" in the future. Volvo will share a platform with Lynk & CO's 01, above, which debuts in China this month. To cut r&d spending, Volvo's mantra would be "reduce complexity." It declared that "the days of cylinder counting are over" and boldly deviated from the premium rulebook by dumping engines bigger than four cylinders. 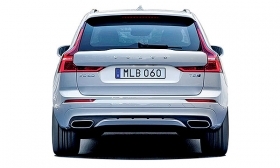 Instead, cars such the XC90 large cross-over, new XC60 and V90/S90 large wagon/sedan built on the new Scalable Product Architecture would use a combination of turbocharging, supercharging and hybrid-electric drive to jack up power to the levels premium customers were used to. Volvo's r&d department, then led by Peter Mertens, is admired throughout the industry for what it has achieved on a limited budget. "Volvo is certainly batting above average in terms of r&d investment," Urquhart said. Volvo has now spent two-thirds of the $11 billion, Samuelsson said. Independence after 10 years of Ford ownership inspired its engineers, believes Gestamp's Riberas. "Under Ford, the talent was a little bit trapped. Now it's a little bit more open," he said. Gestamp and Volvo collaborated on the SPA platform, which uses a large percentage of the Spanish company's hot-formed high-strength steel, a cheaper alternative to reducing weight than the premium go-to material of aluminum. Geely's handling of Volvo has been instrumental in its success, Riberas believes. "I was a little bit concerned that most of the decisions would be moving to China, but the Chinese owners did the right thing to keep the most important decisions in Sweden," he said. "I think they are playing smart." The XC90 large crossover is Volvo's top seller in the U.S. The credit for that goes to Geely's chairman, Li Shufu, the poetry-writing automotive entrepreneur who has referred to himself in the past as the Henry Ford of China. Li is admired by those who work for him for not meddling too much. "To me he's a guy who says, 'If I'm going to buy a company with expertise, why am I going to tell them what to do?' " Chris Gubbey, CEO of the Geely-owned London Taxi Co., said. Geely isn't state-owned, unlike many Chinese automotive firms, and that makes it more agile, Gubbey believes. 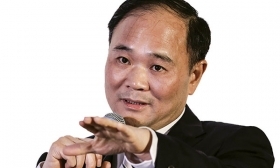 Geely Chairman Li Shufu has given Volvo leeway to manage its own affairs. It took a while, but Geely's decision to situate an r&d center near Volvo's Gothenburg, Sweden, headquarters is about to produce the much-needed scale that will help reduce costs. 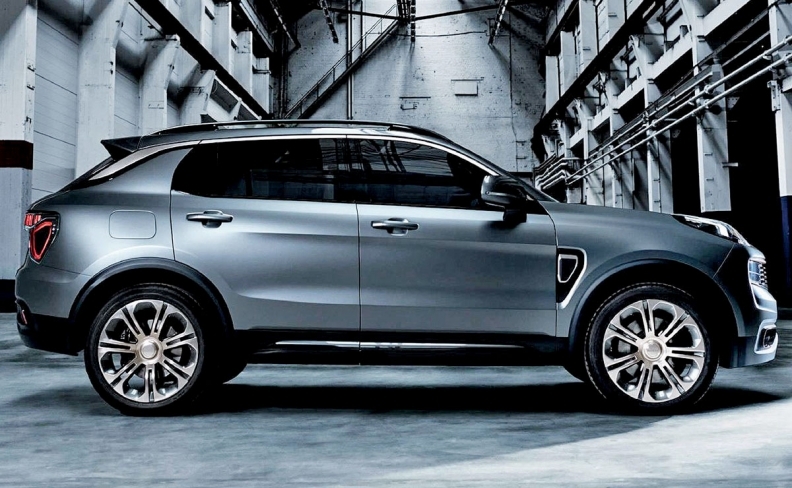 The two companies collaborated on the new smaller Compact Modular Architecture that will also be used by Geely's upscale, globally ambitious brand Lynk & CO, which launches this month in China with the 01 SUV. Volvo's first car off the platform will be the XC40 compact cross-over, also due this year. Both cars will use Volvo's new Chinese-built 1.5-liter three-cylinder turbocharged engine, as will the new range-extended electric London taxi. Volvo's battle isn't yet won. It recently lost its r&d guru Mertens to Audi just as Volvo starts to make tough decisions on future technologies. "The challenging part is still ahead of us," Samuelsson said at Geneva this year. The automaker plans to launch its first electric car in 2019 and is busy improving its autonomous driving knowledge via collaborations with Uber (which Volvo is persisting with despite Uber's public relations problems and a traffic crash last month in Arizona) and supplier Autoliv. But it'll still be a stretch. "For a small manufacturer to make a difference in those areas is definitely a challenge," he said. Still, it's not a life-or-death challenge any more. Seven years ago, many feared Volvo was on the same doomed trajectory as fellow Swede Saab. That's no longer the case. Ford's Armstrong said: "They've found their place in the automotive world." Volvo's U.S. sales dropped by half, but they are rebounding.